For the convenience of our users, we have meticulously prepared some wonderful business plan templates as you see below. 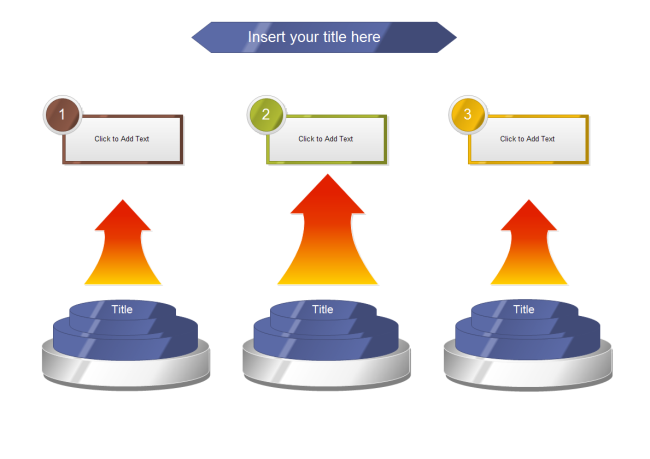 Click the pictures to enter into the download page to save the templates. Both PDF and eddx formats are available. 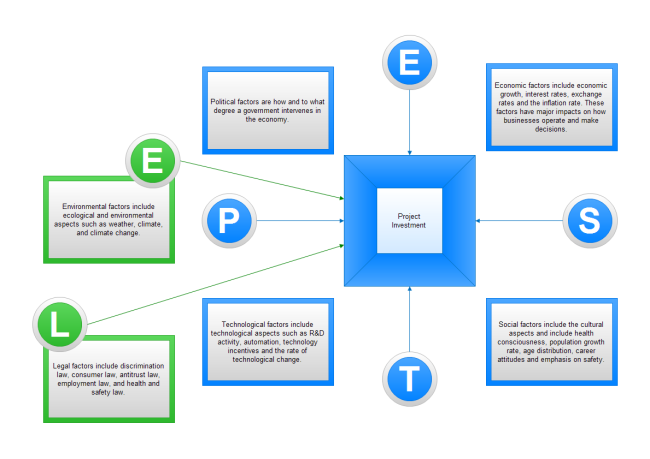 You may need this pest diagram model to make your business planning diagram. Simply download and change the content with your own information. 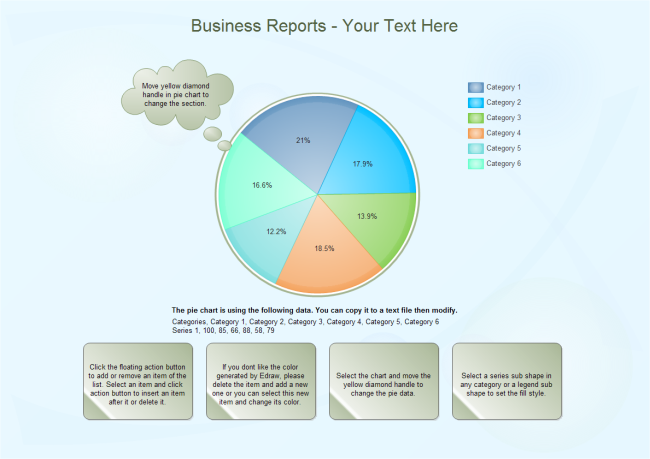 A unique and creative business planning example is available to download and customize. It's very easy to change the appearance and add content in Edraw to make it the way you like. 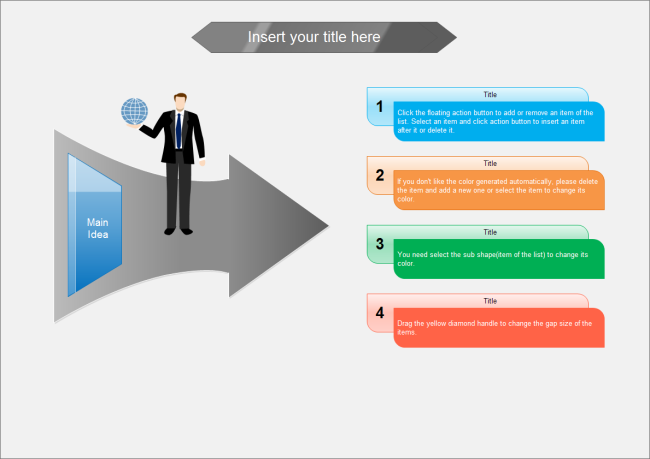 Much time will be saved if you use a ready-made template to create business plan diagrams. This pyramid style can be applied in many scenarios. 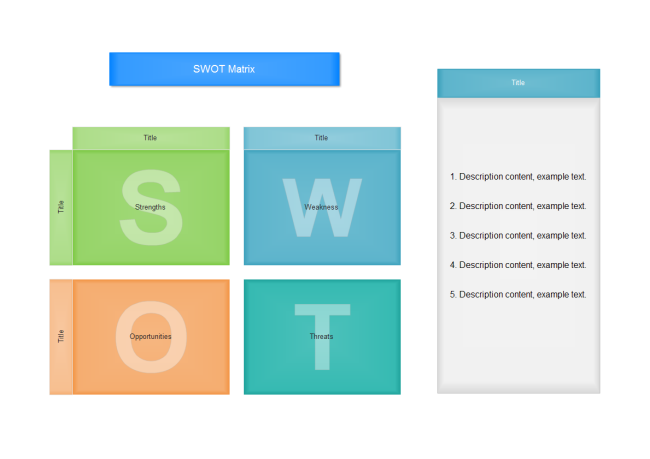 Use the SWOT model to make a nice business plan to impress your boss. More built-in symbols are available in Edraw to enrich your diagram. 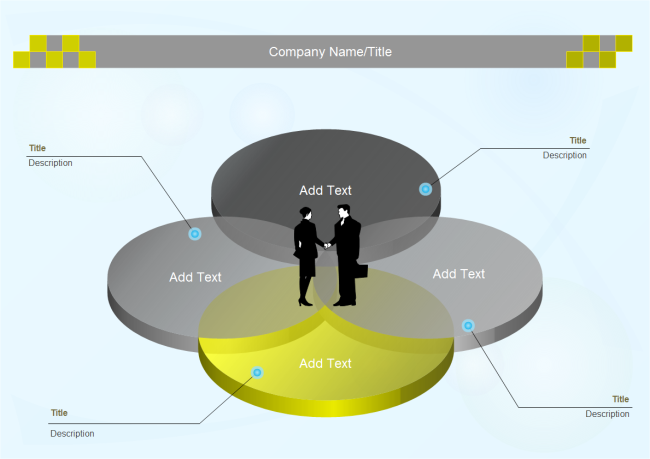 Sometimes venn diagrams can be very useful in making business plan. Click the picture and enter into the download page to save the template. 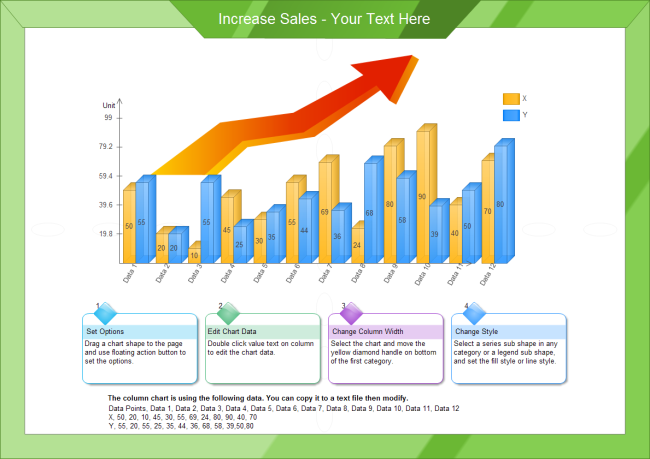 Your presentation will look more professional when you use this column chart to represent your business plan. 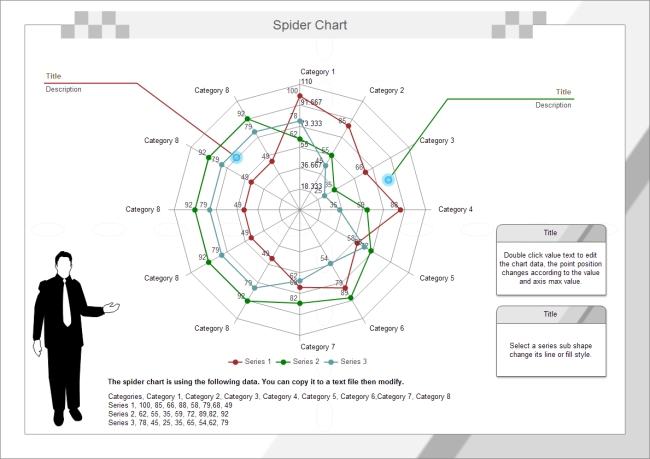 Spider charts are a useful to look at several different factors all related to one item. 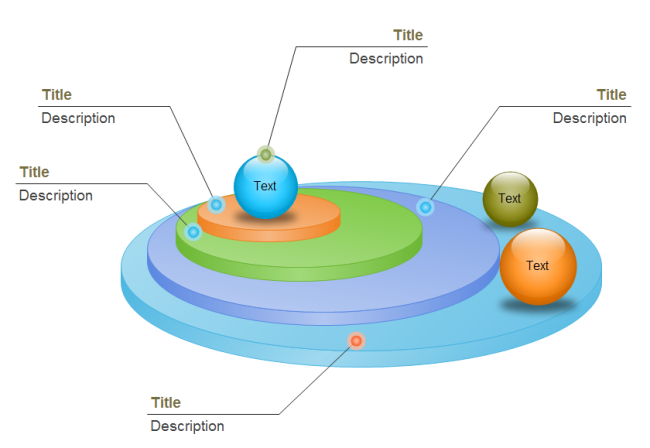 Nice diagrams help make outstanding presentations. Take this ready made business plan template for your own use. 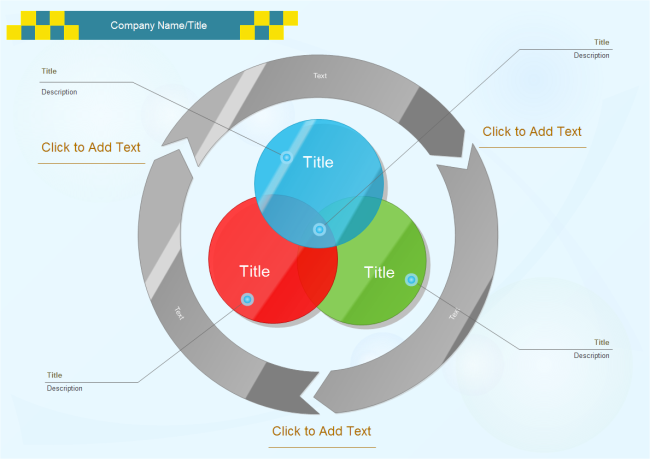 With this eye-catching business plan example at hand, you will greatly increase your work efficiency when making this kind of diagrams. A professional looking business plan example is provided by Edraw. You can have a quick start using this vector file as a template..
A well-designed business plan template is readily available for your own designs. 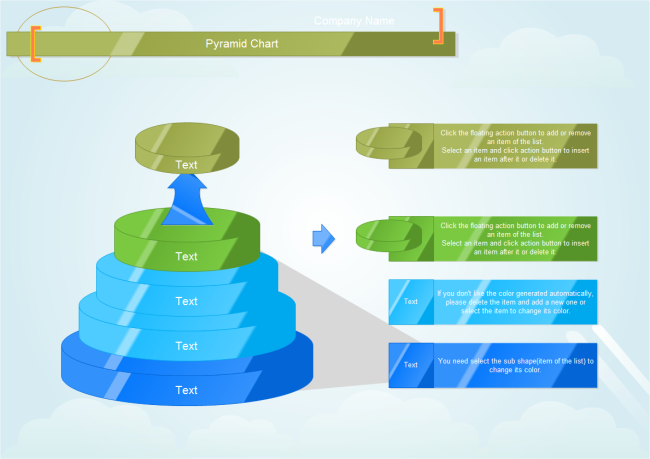 Try it to create business plan diagrams faster. Discover why Edraw is an awesome tool to draw business plan diagram: Try it FREE.